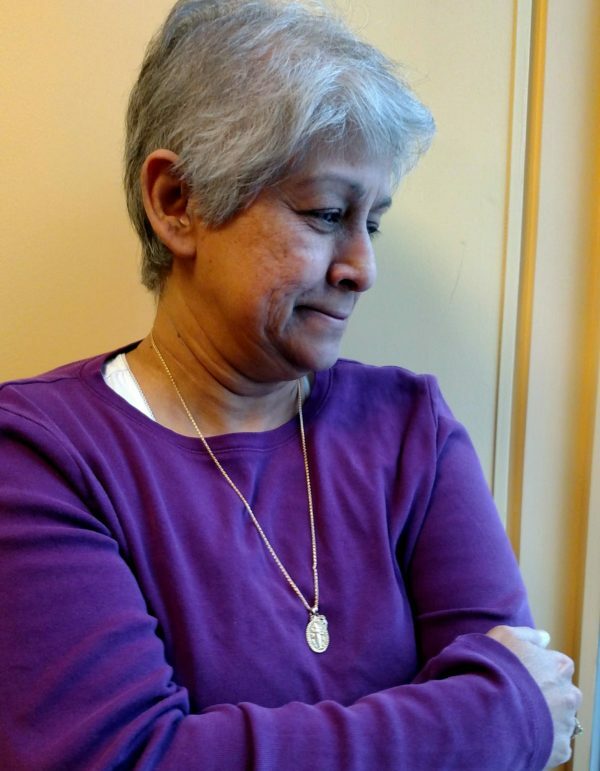 Judy Gopaul worked at the Maine Center for Disease Control and Prevention within the Maine Department of Health and Human Services for six years, most of them as the local health officer coordinator. She became the Freedom of Access Act coordinator February 1, 2016, and was responsible for reviewing requests for public information from members of the public, determining how to respond and following through. She was fired in December 2016 for releasing a public report to the Bangor Daily News, that had already been published, without first running it by her superiors. Maine’s top disease control office fired the person responsible for coordinating the release of public information after she permitted a public report to be sent to the Bangor Daily News in August. The move by Maine’s Center for Disease Control and Prevention to terminate Judy Gopaul, a six-year employee, highlights how Maine Department of Health and Human Services Commissioner Mary Mayhew’s office has asserted increased control over the release of public information within the past year. In addition, a BDN review of documents and emails related to Gopaul’s termination reveals an excessively complicated process, occasionally verging on farcical, for making decisions about how to respond to even the most minor questions from the public. The act that prompted Gopaul’s firing, which became official last December, was giving the approval to a colleague to send a 2010 report on the state’s maternal and child health spending to a reporter on the BDN’s Maine Focus team, according to Gopaul and the findings of an investigation by state human resource officers. “There wasn’t anything that was confidential or proprietary in the report. It was already in the public domain,” Gopaul said. The department, however, argued Gopaul acted outside the scope of her position by not getting permission from the department’s top lawyer and its media relations manager before sending the report to the BDN. As the Freedom of Access Act coordinator at the CDC, her job was to review requests for public information from members of the public, determine how to respond and follow through as outlined under the department’s policies. Gopaul agreed that she technically skipped a step in the written policies by not securing the approval of people who work closely with Mayhew before allowing the report to be sent to the BDN. But instructions from superiors on her specific duties often changed and at times even contradicted what the department’s formal, written policies stated, according to work emails and documents she retained. And to be fired over it? “It seems like an over-broad reaction that has the potential to have a chilling effect upon freedom of access across the state, and the state should be embarrassed,” said Alex Howard, deputy director of the Sunlight Foundation, a nonpartisan organization in Washington, D.C. that champions open government. Gopaul is contesting the firing through the state employees’ union. — On June 23, 2016, the BDN’s Maine Focus team published a story about how DHHS had unlawfully spent at least $7.8 million in federal funding. — On Aug. 9, it described how DHHS had cut in half the number of public health nurses who respond to outbreaks and care for drug-affected babies. — On Aug. 11, it published a story about DHHS handing off financial oversight of a $23-million program for infants with no competitive bidding process and providing insufficient justification for doing so. — On Aug. 15, it published a story about DHHS failing to achieve its goal of expanding home visiting services as set out in a special $5.7-million federal grant. — Finally, on Aug. 17, it wrote about a panel under DHHS’ supervision failing to look into the reasons behind a rising infant mortality rate. The stories resulted in DHHS quietly reversing its unlawful spending and a rare audit finding that confirmed the department had in fact misspent more than $13 million. They prompted legislation that’s pending this spring to force DHHS to hire more public health nurses, and two pieces of legislation — one developed by DHHS — to make it easier for the infant mortality review panel to do its job. Samantha Edwards, DHHS’ manager of media relations, did not reply to emailed questions about Gopaul’s case, whether the department has fired other employees who released public information, or why it ultimately decided to have all requests for public information approved by the commissioner’s office. Under Maine’s Freedom of Access Act, referred to as FOAA, anyone can request public documents. Government entities typically have rules regarding which employees handle the inquiries, and some are more flexible than others. DHHS, whose budget accounts for more than a third of state spending, receives the most FOAA requests of any state agency: In 2015, it logged 330 requests, according to Maine’s public access ombudsman. The department has become increasingly strict within the past year about which staff members it allows to communicate with members of the public and journalists, and Mayhew’s office has gradually taken control of almost the entire process of responding to public requests for information. At times, it hasn’t responded to queries at all. “Layering on a top-down bureaucracy makes it harder to share [information] with those who requested it and certainly goes against the spirit of [FOAA] legislation,” said Lisa Gilbert, vice president of legislative affairs at the national consumer advocacy organization Public Citizen. “The system is meant to be open. That’s the only way we can know if the system works,” said Al Tompkins, senior faculty at the Poynter Institute, a school for journalism in Florida. Who needs to sign off. In April 2016, DHHS’ General Counsel Kevin Wells emailed a number of DHHS employees, including Gopaul, with a “FOAA procedure update.” FOAA requests from attorneys, requests regarding legal matters and requests for records that might contain confidential information were to be fulfilled only with his approval, he wrote. Meanwhile, requests from the media or requests regarding topics that were likely to have media interest were to be approved by Edwards, DHHS’ manager of media relations. Gopaul was later fired for not getting final approval from both Wells and Edwards before sending out the public report to the BDN, according to Gopaul and her human resources investigation report. A change within CDC. But soon after Wells’ April email, in early May, Ken Albert, then the CDC’s director and chief operating officer, changed procedures for handling FOAA requests within the CDC. The CDC is one of six offices within DHHS that administer state programs and services. He requested that Gopaul run requests from the media by John Martins, then the public health information officer within the CDC. Albert told her not to run them by spokeswoman Edwards, according to emails provided by Gopaul. He didn’t say why. The practice remained in place after Albert resigned and Sheryl Peavey became the CDC’s chief operating officer. Minutes from a CDC senior management team meeting June 23 confirm that staff contacted by the media were supposed to follow “the established communication protocol” of notifying Martins, while copying Peavey. Commissioner control. At 6:18 a.m., on Aug. 17, the BDN published a story on how a panel overseen by the CDC had been unable to do its work to track and analyze infant deaths. As part of researching the issue, the BDN had inquired about reports on maternal and child health services, and Gopaul had granted approval to a colleague to release the materials. At 10:13 a.m. that day, Wells emailed staff with a major change to FOAA procedure. All responses to FOAAs, including “five-day letters,” would be handled by Mayhew’s office. A “five-day letter” is a notice a government agency must send to acknowledge a public records request within five working days of receiving it. The next day, Gopaul received an email from a colleague who said she had just spoken to Wells, who had made another change to the FOAA process. Gopaul had to stop processing any pending records requests. If they got documents, “we are to forward everything over to the Commissioner’s Office,” the colleague wrote. In large part, the commissioner’s office was taking over Gopaul’s job. Reiteration. Wells, DHHS’ chief counsel, followed up with an email blast to staff on Aug. 25, reiterating the commissioner’s control over FOAA matters. Staff couldn’t search for or compile records until directed to do so by the commissioner’s office, Wells noted in his email. A few days later, on Aug. 29, Peavey, the CDC’s chief operating officer, seemed to relieve Gopaul of her duties without explicitly stating so. “The Department is in the process of developing a more centralized and streamlined response to FOAA requests,” she wrote on Aug. 29 to several CDC employees, including Gopaul. Effective immediately, any FOAA requests received by the CDC were to go directly to two specific people, Elaine Lovejoy and Tammy Steuber, rather than Gopaul. Uncertainty. The changes created some confusion among staff, including how to identify an actual FOAA request versus a simple question from the public. “I just want to be able to do the job right,” an office manager wrote to Wells. Wells clarified on Aug. 30 that “we are still finalizing the operational details of this new process,” but a request that did not reference FOAA did not need to be reviewed by the commissioner’s office. In that case, a program director could review it, he said. As it turned out, the BDN did not make a formal FOAA request, at first. In fact, the events that led to Gopaul’s firing initially didn’t involve Gopaul. Reporter Adanya Lustig, who was working at the BDN for six months as part of Northeastern University’s cooperative education program, first emailed Valerie Ricker in the CDC at 12:05 p.m. on Aug. 3. Ricker was responsible for the administration of Maine’s federally funded Maternal and Child Health Services Title V Block Grant Program, which helps fund efforts to reduce infant deaths and increase access to prenatal care for women. Lustig asked for copies of the state’s application for funding and any available annual reports for that grant since she, and this author, were putting together a piece on Maine’s rising infant mortality rate. The state’s fiscal year 2014 report was already published to the U.S. Department of Health and Human Services’ website, but Lustig wanted previous reports as well. “Are those available somewhere online, or could you send them to me?” Lustig asked Ricker. — At first the conversation revolved around whether to treat the reporter’s email as an official FOAA request. Ricker wrote to Gopaul, saying she assumed she should. It was not presented as one, however. Formal FOAA requests typically reference Maine’s Freedom of Access Act. Lustig had simply emailed to ask a question. By that point on Aug. 4, Ricker had already alerted Gopaul by email to the fact that she had found an electronic maternal and child health services report, and she believed there were hard copies of the reports from other years. But Ricker didn’t reply to the BDN. — Gopaul, in turn, drafted a five-day letter to acknowledge receipt of the BDN’s request, but she wanted permission from Martins, who directed public and internal communications for the CDC, to send it to the BDN. Gopaul told him it was her last day in the office before her vacation, and she was leaving at 3 p.m. At that point it was 12:45 p.m. She included five colleagues, including Martins, on the email. — Martins then got Wells, general counsel for DHHS, and Peavey, the CDC’s chief operating officer, involved on the email thread. Martins raised the question of whether it was necessary to follow official FOAA protocol. “I want to be sure that we are right in assuming that this is a FOAA request. There’s no reference to FOAA in it and typically, I do not treat a media ask for information as a FOAA unless they submit a request under FOAA. Kevin [Wells] — your thoughts?” Martins wrote. — Since the BDN hadn’t yet heard back from the CDC, and had become accustomed to not receiving responses to simple requests for information, Lustig submitted an official FOAA request to Wells at 10:59 a.m. that day, Aug. 4. — After Martins gave her the approval, Gopaul emailed the five-day letter to the BDN at 1:56 p.m. The letter acknowledged that DHHS had received the BDN’s request for information and would provide a good faith, non-binding estimate of the time and cost of complying with the request within two weeks, even though Gopaul knew the CDC had an electronically available report. — At 2:28 p.m., Gopaul forwarded the five-day letter to her supervisor, Christine Zukas, and the CDC’s chief operating officer, Peavey, to keep them in the loop. Next, Gopaul made a decision that would ultimately cost her her job. She told Ricker over the phone to inform the BDN how much it would cost to put together the requested documents, she said. She told Ricker she could send the documents to the BDN if there was no proprietary information in them. Gopaul figured it would be OK since she was leaving for a week, she said, and Ricker had already found a published report, which would take little effort to attach to an email. “I was trying to finish up all my work,” Gopaul said. “If we have to send everything to Edwards then, yes, it was a mistake.” But, she pointed out, she had never run materials by Edwards in the past, since she worked closely with Martins, and no one had threatened her employment over the matter before. Ricker followed Gopaul’s instructions. She emailed Lustig at the BDN to let her know it would cost $161 for copies of the documents from 2000, 2004 and 2008, but she had an electronic version of the 2012 application, and 2010 report, that she could send via email for free. Lustig opted to take the free, quickly available, electronic report. Unaware that the BDN had already received the report, Edwards, the media relations manager, emailed the BDN another five-day letter on Aug. 8, while Gopaul was on vacation. “The Department will strive to make public records available to you as soon as possible,” she wrote, without providing an estimated timeframe for providing the documents. Lustig let her know that the issue had already been settled, prompting Edwards to inform Peavey. After her vacation, Gopaul returned to the CDC on Aug. 15 and assumed she was to continue her work. But her superiors stripped away most of her duties over the next few weeks, giving them to Mayhew’s office and other colleagues, she said. “I was supposed to come to work every day and do nothing,” she said. She tried to stay busy by getting permission to redact some material, she said, and she decided to prepare a handbook on freedom of access best practices. But she was given no records requests to process, she said. On Sept. 19, she received official notification that the department was conducting an investigation into her actions. The investigation raised more questions about the basis for her eventual dismissal. In attorney Wells’ interview with a human resources investigator, he said there was no reason for him to get involved in the BDN’s request for information. Gopaul looked up the policies applicable at the time of her employment and gave them to the BDN. DHHS’ FOAA policy states that employees can’t directly respond to any request without the permission of the general counsel. And investigators told Gopaul, and wrote in their findings, that she should have contacted both Wells and Edwards. The investigation report did not mention that Gopaul had been instructed by higher-ups to run materials by Martins at the CDC, not Edwards at DHHS. It also cited a prior punishment that didn’t arise in the investigation interview: a suspension for also “acting beyond the scope” of her job. That one-week suspension in 2012 came after DHHS accused her of giving legal advice to a tenant as part of her prior job as the local health officer coordinator with the CDC, she said. Gopaul, who has a law degree and a master’s in public policy and management, still refutes the claim. Gopaul’s termination became official on Dec. 16, according to a letter signed by Peavey, about a week before Christmas.